Families are unique and each family has different practices that become traditions over the years. Traditions can be established early in life and will often be remembered and practiced into adulthood. This project allows students to create a collage using technology so they can share their family traditions for celebrating the winter holiday in an oral presentation with the rest of the class. 6.1.4 Analyze the role of family in teaching culture and traditions across the life span. What are traditions and why are they important? A tradition is the passing of customs or beliefs from one generation to another. Traditions are important because they give us a sense of identity, help us bond with our family members and create long lasting memories. Learning about other people’s traditions helps us to learn cultural awareness, diversity and to appreciate the differences between families and the traditions they celebrate. Have students explore their family traditions relating to your celebrated winter holiday (Christmas, Kwanza, Hanukkah, Boxing Day). Explain that traditions may include, but not be limited to baking cookies, holiday foods, choosing and decorating a tree, reading special books, decorating the house, making ornaments, sharing special stories, ugly sweater contests, driving around to see the lights, going to church, hosting parties, gift exchanges and more. 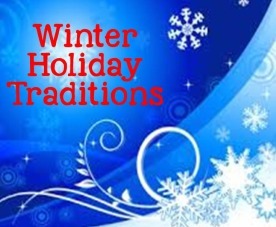 Students will need to locate approximately 6-8 photos that represent the winter holiday traditions practiced or celebrated by their family. Be sure to save the pictures to your laptop before uploading to the collage. Make a free Fotor Collage of pictures to represent the winter holiday traditions practices or celebrated by your family. Choose a collage template for 6-8 photos and begin uploading your saved pictures. Note: once you start a collage you must finish it…there is no way to save and finish later. After you’ve completed your collage, click save and apply adjustments. Then you can save to your computer as a .png picture file. Now that the collage is made, students will write a paper describing the traditions they selected as they apply to their families. Ask students to describe how the traditions were started, who participates, which one(s) are their favorite, how the tradition strengthens their family and which ones they would like to continue when they have a family of their own. Now it’s time for the oral presentation. Have students individually put their collage on the SMARTBOARD and orally share their traditions with the entire class. Be sure they include an introduction and conclusion to their presentation.